It's Monday! 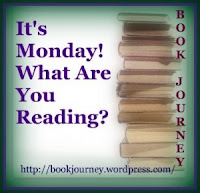 So it is time for What Are You Reading? Last week, I finished up a couple of books. So I found myself starting the weekend with a whole new crop of stories. Though fantasy isn't typically my thing, I'm enjoying Sebastian and the Afterlife. It has a Harry Potter like feel to it. From GoodReads.com Sebastian awakes to find himself in a mystical realm somewhere between the living and the dead. Unspeakable dangers lurk in this realm. The Grim Reaper and his loyal agents work to maintain the law, as the threat of soul pirates (the wicked harvesters of spirit energy) has been on the rise. The infamous leader of the pirates, Axis Red, has a treacherous plan to take over the realm and set himself as the supreme authority. I'm still plugging along with this book. I try to read a bit of it each day. From GoodReads.com Author of a dozen books, including the bestselling Timeless Secrets of Rejuvenation and Health and Cancer is Not a Disease, Andreas Moritz takes on yet another controversial subject, this time to expose the Vaccine Myth. In Vaccine-nation, Moritz unravels the mother of all vaccine lies - that vaccines are safe and they prevent disease. From GoodReads.com How do you say goodbye to the love of your life when you are only twelve years old? Finn O’Malley and Lucy Butler had to figure out how to do just that as Finn left his home in Clarkstown, New York for Two Roads School of Music in California. Being a young talented musician, Finn thought it best for his future but wasn’t sure about leaving Lucy behind. I haven't found anything that tickled my fancy and was AVAILABLE at the digital library in audio books. I'm on the waiting list for Water like Elephants and The Peach Keeper . That is what I'm reading this week. How about you? What's keeping you entertained this week? I have heard a lot of great things about The Peach Keeper! I hope you enjoy it when your turn comes up. I would love to have you visit my Monday Post . Ooh, Sebastian and the Afterlife was so good! I'm glad to hear you are liking it as well. :) And I haven't hear of the other two books, but Water For Elephants is fantastic, and I loved The Peach Keeper, too. Happy reading! Sebastian and the Afterlife sounds like a great read! Glad you're enjoying it! That first book, Sebastian and the Afterlife sounds interesting. I am also not much for fantasy (can't usually wrap my head around made up names) but if it's a bit like Harry Potter, in a way -- then that seems more up my alley. Sounds like you had a great week! Happy reading! Sebastian and the Afterlife sounds good - especially if you can compare it to Harry Potter. That vaccine book looks interesting. I would have loved a book like Vacine Nation when my children were small. I really wasn't sure about all these inoculations they got. Your other books look interesting too.